The weekend begins and it’s time to get out that body hugging dress and paint the town red! Or is it? Unfortunately, life is rarely that perfect – especially for those of us whose days normally consist of rushed meals grabbed off fast food counters and late night spent chasing deadlines. The result? Bloated bodies that make you want to slip into a tent-shaped kaftan rather than risk the unforgiving cocktail number. But despair not – there is help at hand, courtesy the Thai damsels of centuries past, whose herbal wraps are superb at drawing out body impurities, banishing bloat and firming up the skin. No, you won’t lose 10 kilos in one session and the effects last only a few days, but if it gets me from a size 10 to a size 8 in time for Saturday’s bachelorette bash at the Four Seasons, it’s good enough for my needs! 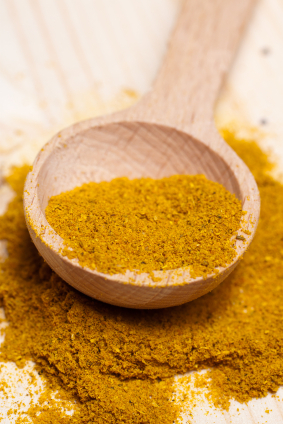 Grind together the ginger and turmeric. Powder the rice to a coarse, grainy texture. Add everything to the warm water and mix till it makes a thick paste. Massage the paste all over your body in circular motions, paying special attention to areas with fatty deposits such as thighs, stomach, hips and upper arms. Leave the paste on for 20 minutes* and then rinse off with warm water. What’s your surefire way of losing those pesky pounds in an instant? Do share!